They’d answer “those solid boxes that move on four rotating things, faster than most other things, making a loud rumbling noise and exuding carbon-based gases”. 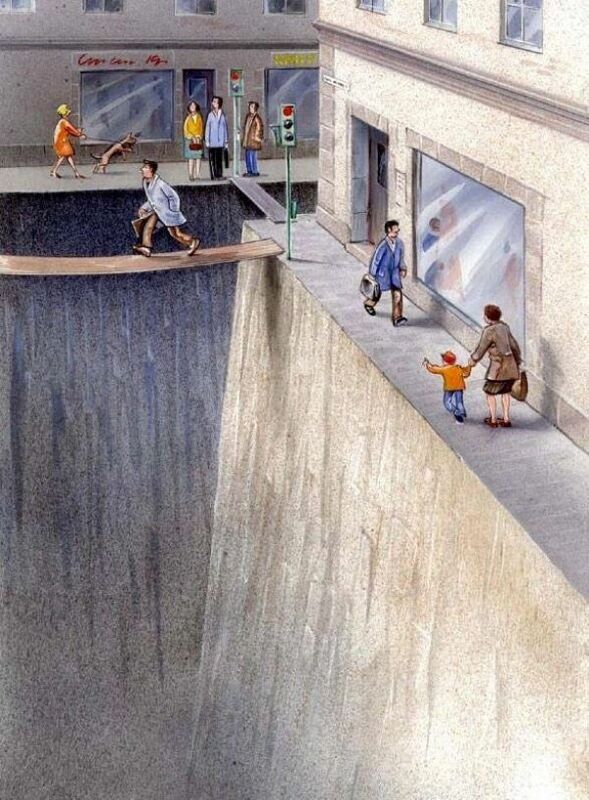 Take a look around next time you step out onto a street. 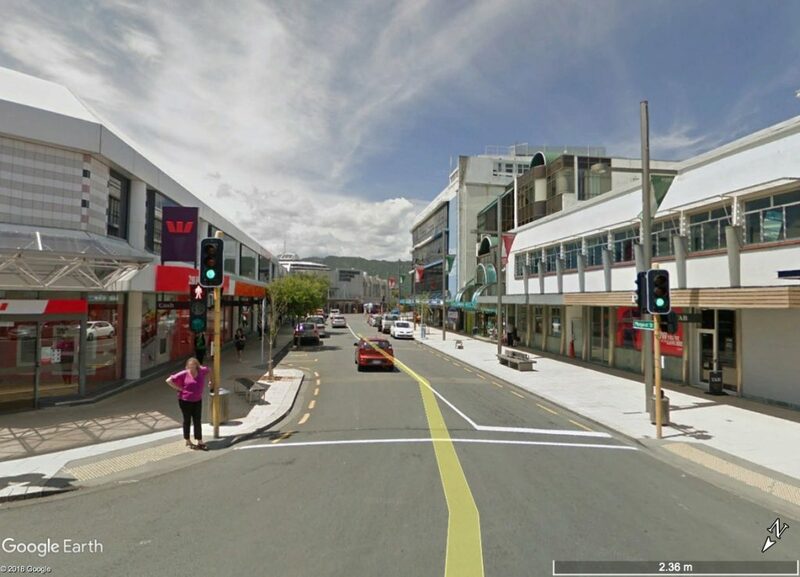 Pick any street you like – in the town centre of Wellington, or Porirua, or Lower Hutt, or Upper Hutt. Pick any street you like – residential Karori, Naenae, Heretaunga, Aotea, Titahi Bay, Paraparaumu Beach. What gets most of the space? What does everything else defer to? Who has to wait and ask permission to go? Who bears the burden of being careful and preventing someone getting hurt? 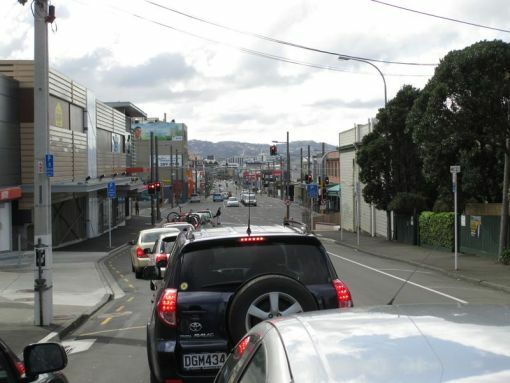 Wellingtonians are famous for ‘jaywalking’ – people on foot (or at least the able-bodied with strong nerves) being willing to Enter The Domain Of Cars, when they’re supposed to wait patiently on the footpath til the lights say “you’re allowed to go now”. 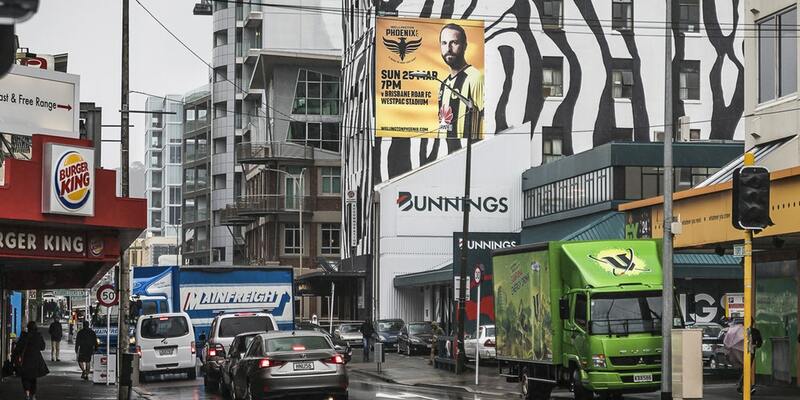 Here are some pictures of places that make our readers feel like Karl Jilg’s famous picture above. How did the street make you feel when you stepped out on it today? Is there a street where you feel like you’re the most important thing on it? A street where you feel you can move as you like? 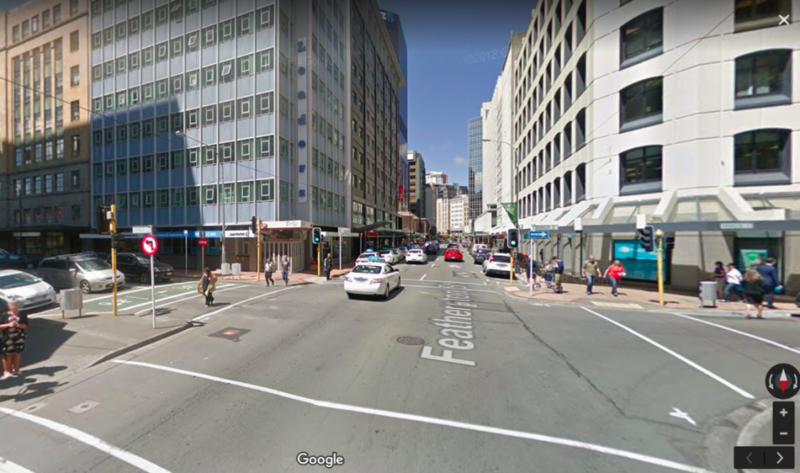 On October 28 for a few hours there’s a chance to experience some Wellington city streets “open to people”. What will it feel like on the street then?